In October, Sarah Edelman testified before the U.S. Senate Committee on Banking, Housing, and Urban Affairs Subcommittee on Financial Institutions and Consumer Protection in a hearing on “The State of Rural Banking: Challenges and Consequences.” Read the full testimony here. Consumers living in rural areas frequently rely on community banks to meet their credit needs. These banks provide vital support to the small businesses, farmers, and homeowners that make rural economies function. For decades, however, the number of community banks serving these areas has been declining. Many factors account for this decline, which long precedes the financial reform measures put into place after the 2007 financial crisis. Despite many claims to the contrary, regulation cannot be blamed for the smaller number of community banks operating today. The number of community banks has declined at a rate of about 300 per year over the past 30 years, mostly through consolidation with other banks, according to the Federal Deposit Insurance Corporation, or FDIC. The decline began far before the 2007 financial crisis and the subsequent Dodd-Frank Wall Street Reform and Consumer Protection Act and has continued at about the same pace since regulators began to implement the law. The number of locally owned banks also has declined in particularly rural areas: While about 80 percent of traditional financial services in these areas were locally owned in 1976, only about 20 percent were locally owned in 2007. Why are there fewer community banks now than there were in the 1980s? Over the past 30 years, more than 80 percent of the banks that have exited the market have not failed. Rather, they have merged with unaffiliated banks or consolidated with other chartered banks, sometimes within the same organization. Larger banks can benefit from the economies of scale that make certain operations more efficient. Community banks also have fallen victim to the population loss and economic challenges afflicting rural communities; 86 percent of rural counties in the Great Plains states, for example, experienced population loss between 1980 and 2010. Unlike larger banks, which may have branches across states and geographic areas, community banks are especially vulnerable to declines in their local customer base. Finally, despite all of these challenges and a decline in their overall number, community banks have performed relatively well over recent years. Both smaller and larger community banks originated a larger share and number of home purchase mortgages in 2014—the latest year for which Home Mortgage Disclosure Act data are available—than they did in 2010. Last year, community banks increased their lending volume at almost twice the rate of larger banks. Data from the FDIC also show that the performance and financial health of community banks has experienced consistent improvement over the past five years. While policymakers should continue to monitor the implementation of financial regulations to ensure that compliance is as simple as possible, undermining financial reform in the name of helping small banks in rural areas is not the right approach. In fact, returning to precrisis regulatory standards ultimately would put more community banks at risk of failure. Most of the bank failures that have occurred over the past 30 years have occurred during a financial or an economic crisis. Community banks are no exception to this trend and have had failure rates comparable to other types of banks. While community banks generally did not engage in the type of predatory residential mortgage lending that brought down larger banks during the Great Recession, many failed in the wake of the financial crisis: Between 2008 and 2011, 419 of the 481 depository banks that failed were small banks. The long-term health of community banking depends on a healthy economy and stable financial market. Strong regulation helps banks of all sizes establish a sturdy foundation and would help prevent future financial crises, along with the loss of more community banks. Moreover, regulators have already taken steps to ensure that community banks are able to continue lending in a safe way. Recognizing that community banks may need more flexibility to serve rural and nonmetropolitan markets, regulators have provided small banks with a series of exemptions from the new mortgage rules. Additionally, the Consumer Financial Protection Bureau, or CFPB; the FDIC; and the Federal Reserve have all formed community bank advisory councils since the financial crisis. The voices of community banks are well-represented, and regulators continue to be responsive to their concerns. Instead of pursuing sweeping deregulatory legislation that will do little to help small banks, policymakers should take a more comprehensive approach. First, as new regulations are fully implemented, the CFPB, the FDIC, and other regulators should continue to communicate with small banks and to monitor any challenges that may arise. These regulators are best positioned to work with community banks to ensure that regulatory compliance is as simple and straightforward as possible. They also should direct more attention toward helping community banks upgrade technological systems, as improved technology could help bring down compliance costs and reduce the cost of lending in the long run. 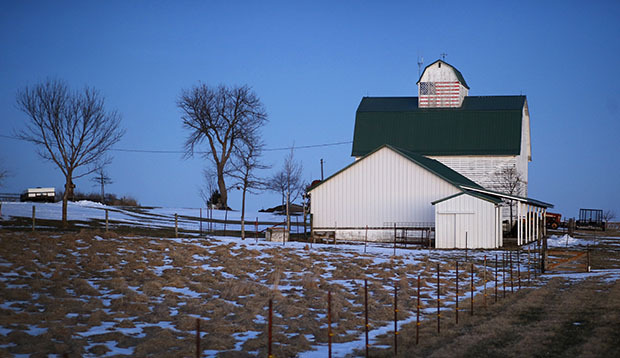 Second, Congress should fully fund the U.S. Department of Agriculture and the U.S. Small Business Administration, which administer lending programs that help address the credit needs of rural businesses and homeowners. The federal government has served as an important partner to rural communities and community banks over the years; fully funding these agencies would help ensure that lending programs are available for prospective homeowners and small businesses in rural communities. Finally, the Federal Housing Finance Agency, or FHFA, also should take steps to support more lending in rural areas. FHFA is currently working to finalize the proposed Duty to Serve rule—mandated by the Housing and Economic Recovery Act of 2008—that requires Fannie Mae and Freddie Mac to help meet the credit needs of underserved markets, including rural markets. FHFA should encourage Fannie Mae and Freddie Mac to work more closely with community lenders in rural areas and to help design products tailored to consumers in rural communities. Community banks play an important role in rural communities. Over the past generation, their numbers have declined significantly, largely due to changes in the underlying market. Recently, however, these banks have become stronger and have actually increased their consumer lending. Going forward, regulators and federal agencies should continue to partner with community banks to help revitalize local economies.